For the most users oral Strombafort (Stanozolol) is observably less effective than the injections. There is no logical and scientific explanation for that. Since the tablets are alkylated by 17-alpha, it seems to be unbelievable that during the “first pass” through the liver a part of the substance is inactivated, so that such a possibility disappears. One of the reasons is, possibly, the fact that most athletes use insufficient amount of Strombafort (Stanozolol) tablets. If we consider the fact that Stanozolol, as a rule, is injected 50 mg per day or at least 50 mg every two days and compare this with the everyday dosage of the used tablets then such an opinion is confirmed. 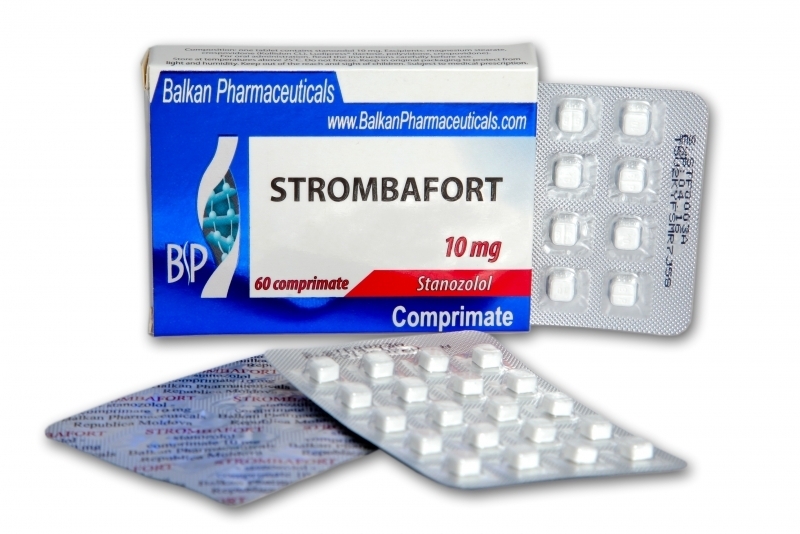 Male athletes that have access to Strombafort (Stanozolol) prefer the injection form to the tablets. Females prefer the oral Stanozolol most often. And there is sense in this because they need smaller everyday dosage of Stanozolol that is 10-16 mg per day. Thanks to this the daily dosage is decreased to 5-8 (2 mg each) tablets, that is why the gastrointestinal disorders, and elevated liver indicators are rare. One more reason that women use oral preparation is that the dosage may be equally divided during the day. The advantage of such an approach is that androgen-conditioned side effects (masculinization cases) may be totally negated and there is no significant increase of androgen level in the blood as it happens during the 50 mg injections. The athletes who decided to try the oral form of Stanozolol must use the daily dosage in two big receptions, usually – in the morning and in the evening during the meal, washing the tablets with fluid. These provide good digestibility of the active chemical substance and simultaneously minimizes the possibility of gastrointestinal disorders.